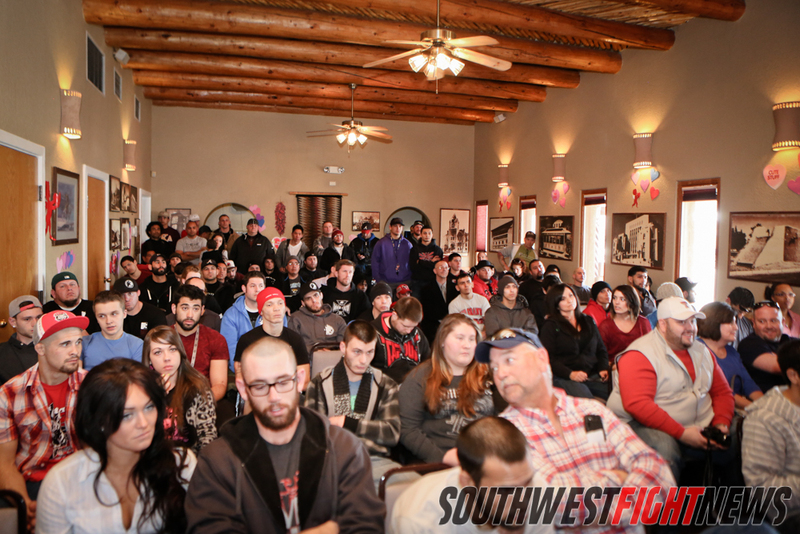 The weigh-ins for King of the Cage “Rumble” went down today inside the Sadie’s Restaurant on 4th Street in Albuquerque, New Mexico. All fighters weighed in prior to their scheduled bouts at tomorrow’s event which is slated to start at 6 P.M. and the doors will actually open one-hour prior at 5 P.M. The promotion would like to thank the Sadie’s restaurant and staff for their continued support of not just the King of the Cage events, but for everything they do in the boxing and MMA community. Brian and his family have been great to NM fighters. Get your last minute tickets at www.holdmyticket.com or contact the FIT NHB fight gym. There also should be tickets at the door of the venue. Check out our Facebook page (King Of The Cage “Rumble” Weigh-In Gallery) for our weigh-in gallery and stay tuned tomorrow night for all of our live coverage! 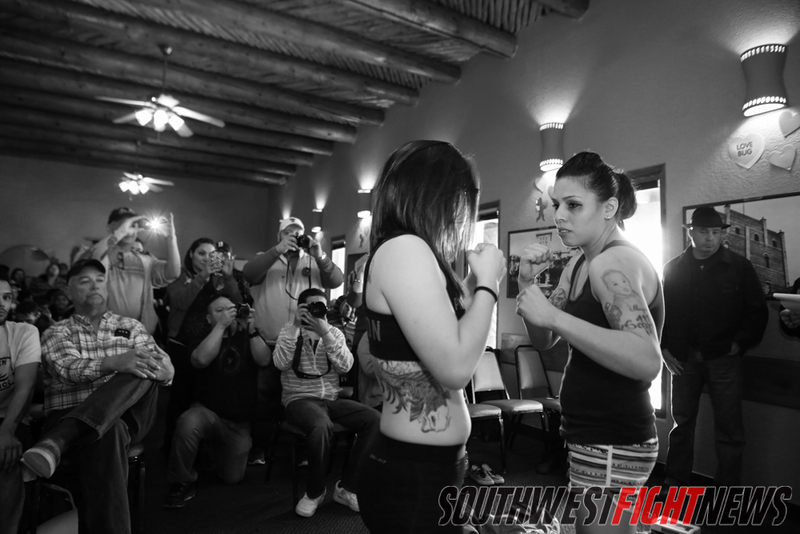 Photos from the King of the Cage “Rumble” Weigh-in at Sadie’s of New Mexico. 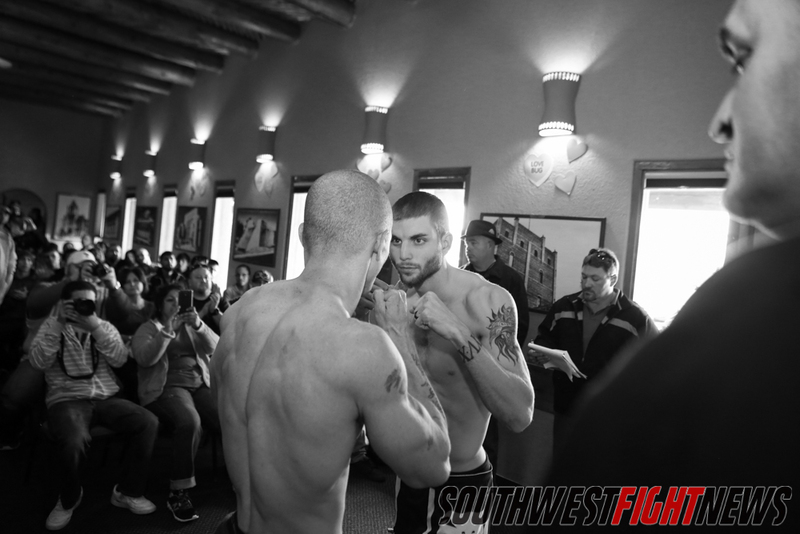 Main Event 145 Pounds: John Rozema (145.6) vs. David Payne (144.8) Photos from the King of the Cage “Rumble” Weigh-in at Sadie’s of New Mexico. 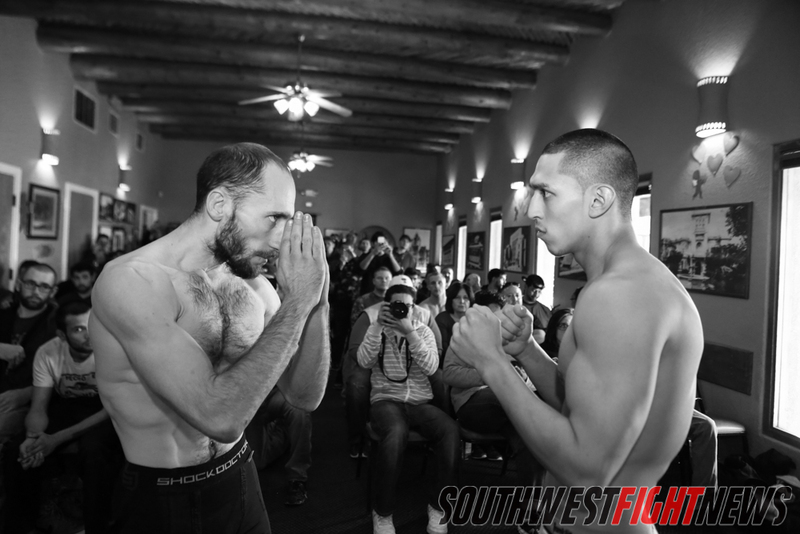 Co-Main Event: 155 Pounds: Aaron Perls (154.2) vs. Dorian Dixon (155.4) Photos from the King of the Cage “Rumble” Weigh-in at Sadie’s of New Mexico. 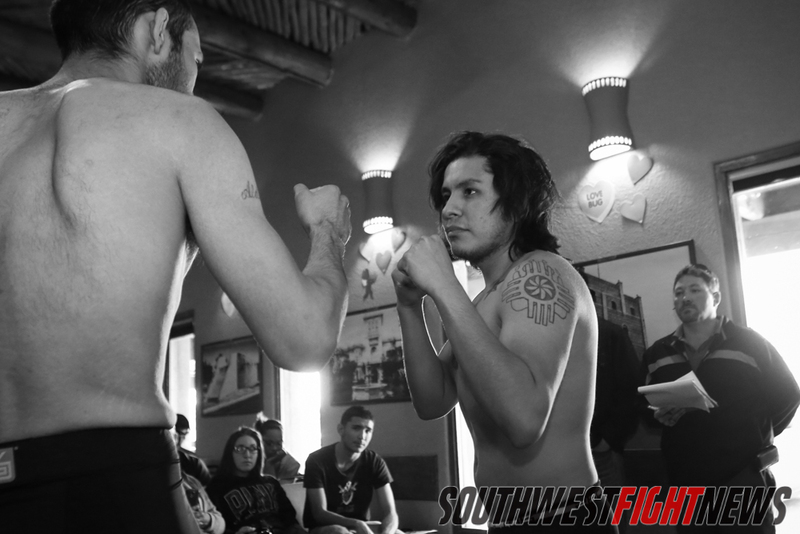 135-Pound KOTC Amateur Title: (C) Robert Herrera (134.4) vs. Mark McGlasson (134.8) Photos from the King of the Cage “Rumble” Weigh-in at Sadie’s of New Mexico. 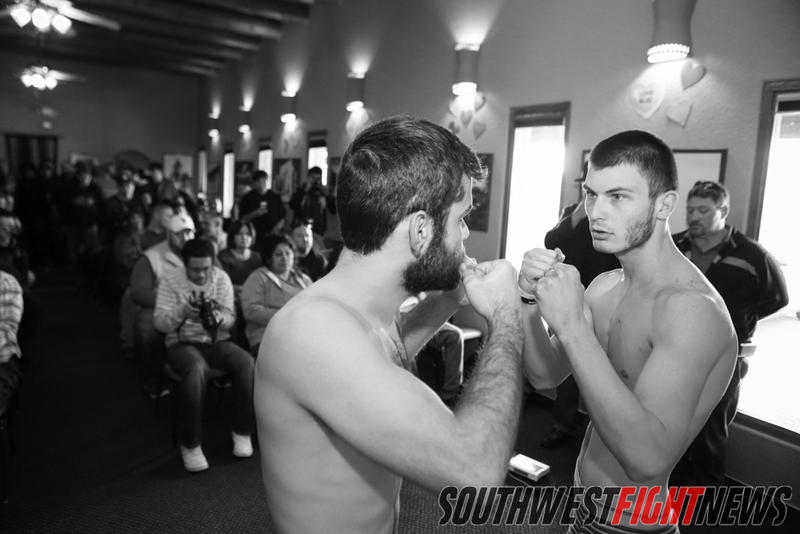 150 Pounds: Charles Williams (149.8) vs. Andrew Vargas (146.6) Photos from the King of the Cage “Rumble” Weigh-in at Sadie’s of New Mexico. 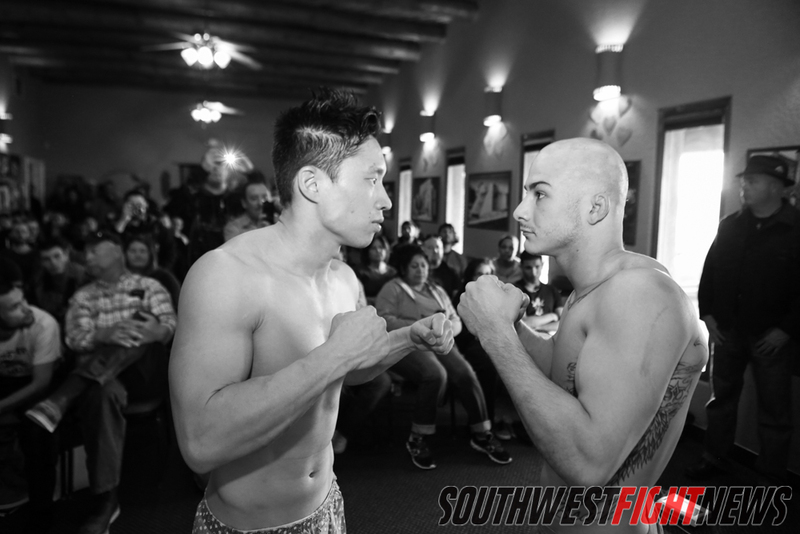 135 Pounds: Thomas Mills (134.2) vs. Cristobal Chavez (135.4) Photos from the King of the Cage “Rumble” Weigh-in at Sadie’s of New Mexico. 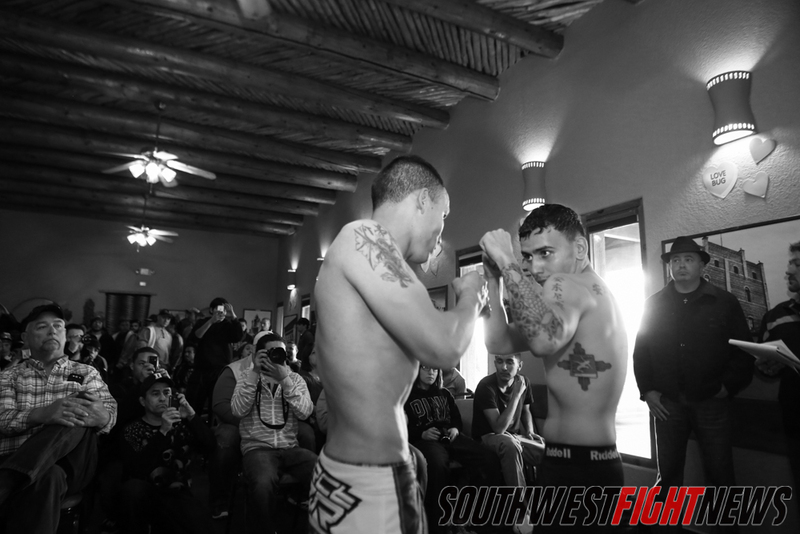 135 Pounds: Joseph Veloz (136.6) vs. Joel Whitney (135.8) Photos from the King of the Cage “Rumble” Weigh-in at Sadie’s of New Mexico. 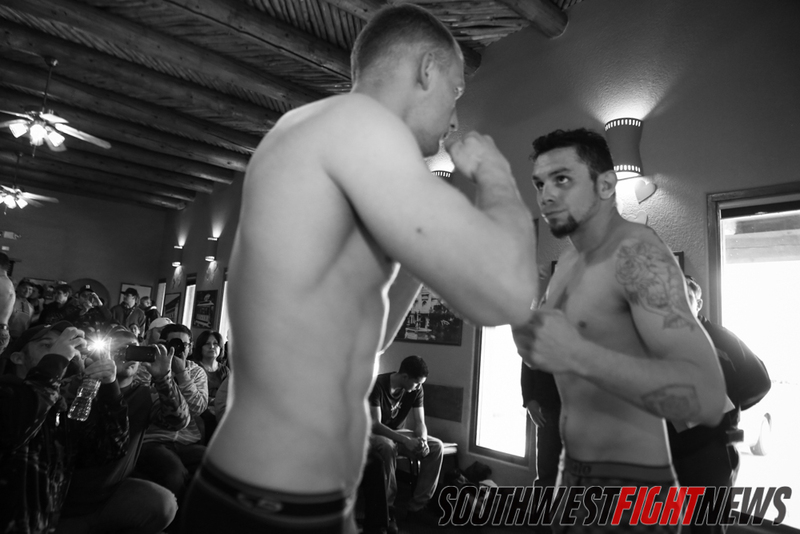 205 Pounds: Elias Proce (209*) vs. Eric Kapp (205.4) Photos from the King of the Cage “Rumble” Weigh-in at Sadie’s of New Mexico. 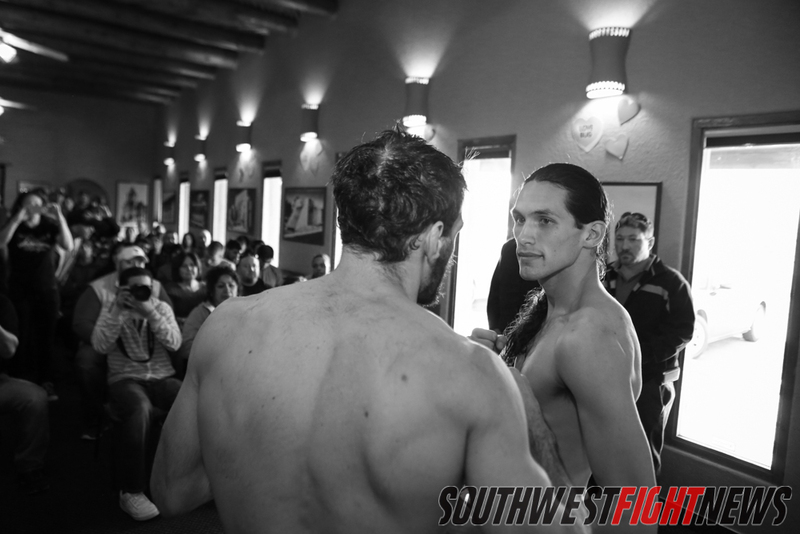 170 Pounds: Marcos Mendoza (170.6) vs. Mike Taff (170.6) Photos from the King of the Cage “Rumble” Weigh-in at Sadie’s of New Mexico. * &** notes fighters who did not make weight and were given one hour to meet their weight expectation.